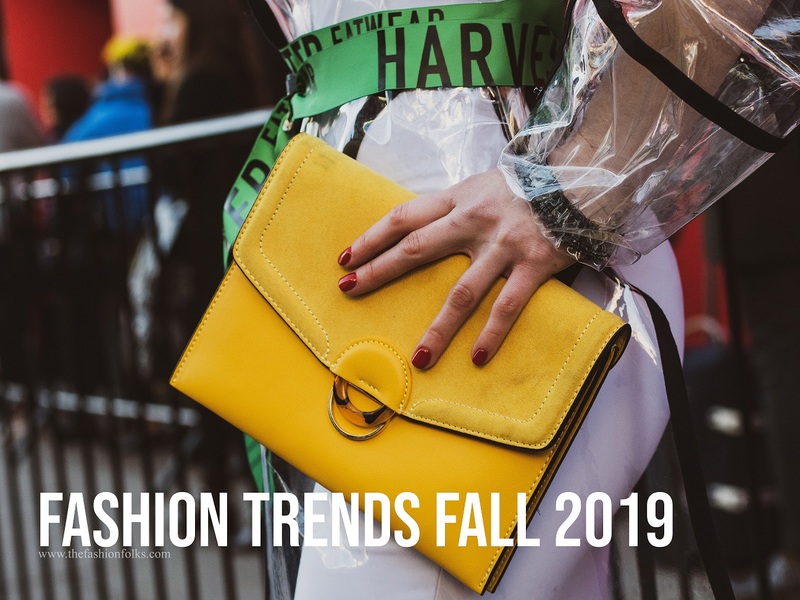 I know the majority of us are thinking about spring and summer right now, but how about an article on the fashion trends fall 2019, before fully heading into spring and summer 2019? One of the best parts about the fashion weeks is the previewing of what the upcoming trends will be. Just a fun hint of what the fall fashion will look like. I know many of you agree with me on this too, but the fall season is just one of the best ones when it comes to fashion. Perhaps that’s why I’m extra excited about this summary of the fashion trends fall 2019. One highlight from each fashion week! Read all the articles from the fashion weeks here. Fair enough that the animal prints are trending this spring season too, but the animal trend will only continue to grow throughout the year. Mainly the leopard print but also a lot of zebra, snake and giraffe. Not always done in their “natural” occurring colors, but a lot of the designers mixed and matched the animal prints with crazy colors. Doing the animal prints for accessories have been popular for awhile, but choosing clothing pieces in animal prints will only increase in popularity. Check the full report from NYFW here. Kind of unexpected that yellow is gonna be one of the hottest colors for fall as it feels more suitable for spring with its bright and energizing power. Perhaps that’s why though we need it during fall? To light up our days? Well anyways, yellow is one of the fashion trends fall 2019. I’m not talking about the classic mustard yellow but lemon yellow, pineapple yellow. Just bright hues that are energetic and bold. Yellow wasn’t styled that neutralizing either, but full monochromatic or voluminous with featherish textures, faux fur and leather. Yes to more yellow if you ask me! Check the full report from LFW here. If there’s only one trend I think the majority of us will be able to embrace, it’s this one! Leather as a material is a pretty common wardrobe staple, often done as bags, shoes or jackets. For fall 2019, leather is about OTK boots, it-bags and clothing pieces with leather details. Like a dress done in leather, a leather skirt or a coat with leather details. Black leather is, of course, most popular but tanned leather as well as white and colored have been popular too. Choose your clothing pieces with some leather details this fall or add the leather details yourself by gloves, bags and shoes! You can find the full report from MFW here. And speaking about shoes! Don’t think that your days with statement boots are counted because they’re major this year. Statement boots as in OTK but also ankle boots done in animal prints or with fun details. Boots for fall is a pretty functional match if you ask me but also terribly stylish. One of the most important parts of the fall fashion is to contrast different materials. That’s when some statement boots comes on handy (or footy? ), as they will elevate the outfit with their statement. A lace dress with a pair of OTK leather boots? Yes please! Or a leather skirt with some suede boots? Works perfectly too! Check the full report from PFW here. I love that animal print is still going to be huge- LOVE this trend! I absolutely LOVE that purple leopard coat! Leopard seems to keep trending each fall, but this time around, I’m loving the fun color combos! I have so many leopard pieces, but don’t have any in fun colors. I look forward to adding some pieces to my collection this fall, especially since I’ll have baby girl already! I love the idea of this shade of yellow paired with jewel tones for fall, it looks so beautiful! Thanks for sharing this trend report and I hope you’re having a great start to your week and month, my friend! Thanks for sharing these. I love the idea of bright yellow for autumn and winter. Have a great week. I’m still rocking my animal prints even though I know it’s not technically the season for it..but I just cant seem to give them up! Which is good…because that print will never go out of style 🙂 Happy weekend!